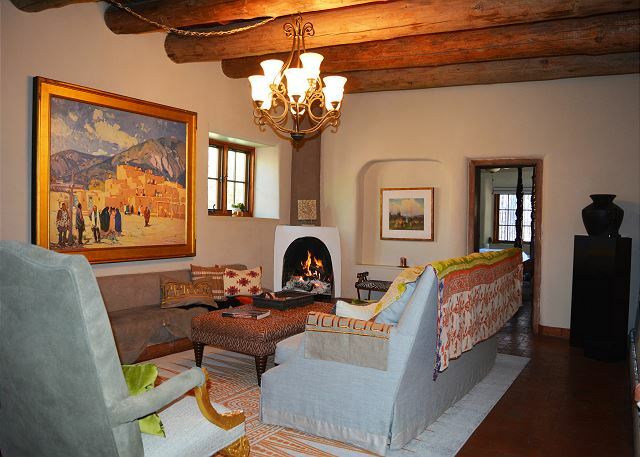 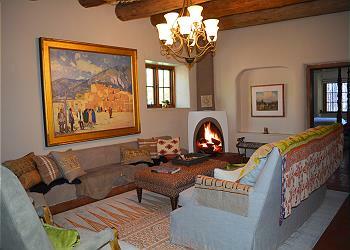 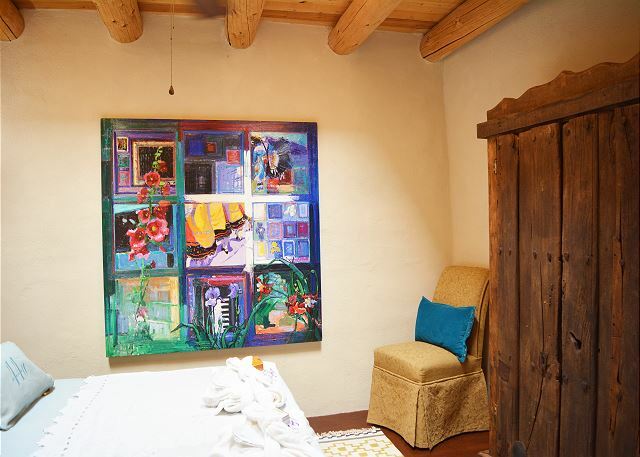 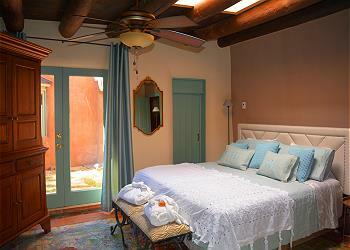 “44a - Orchard Pommerale” is a treasure for relaxation, rejuvenation and experiencing the charm of an authentic historic southwestern adobe home. 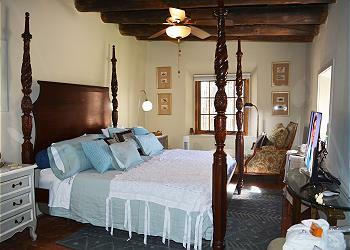 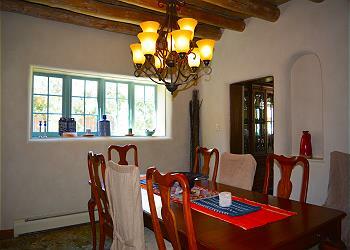 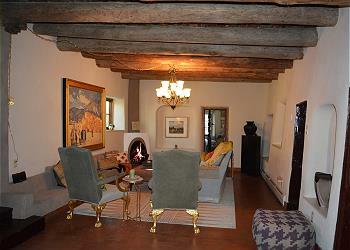 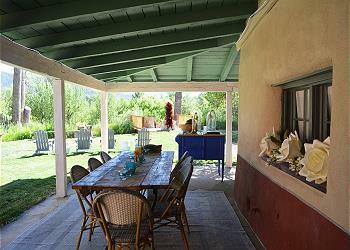 This property is ideal for a romantic wedding ceremony along the peaceful acequia. 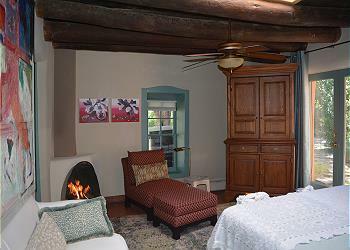 Upon arrival enjoy “Louis Sherry/New York” specialty chocolates along with 2 terry cotton bathrobes and disposable slippers in every bedroom. 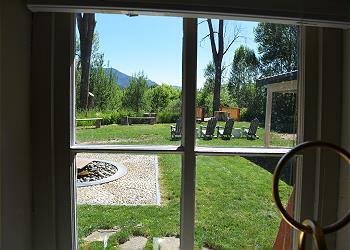 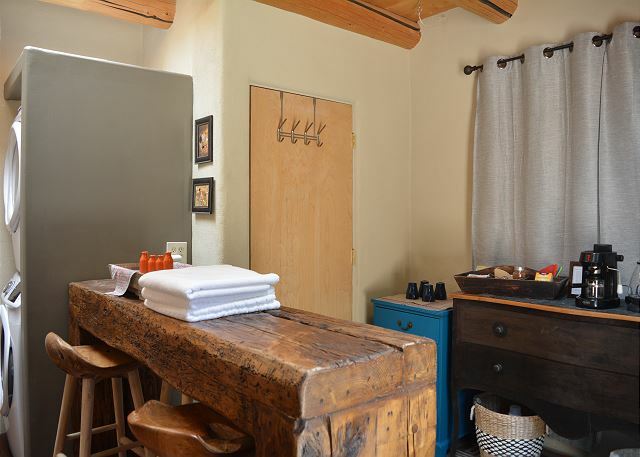 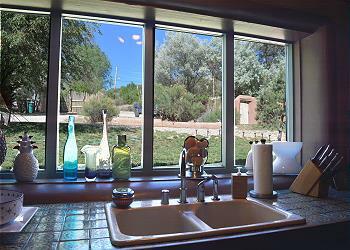 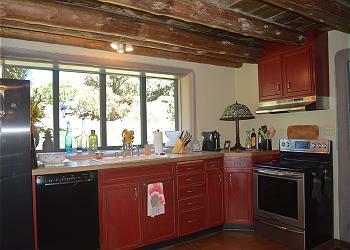 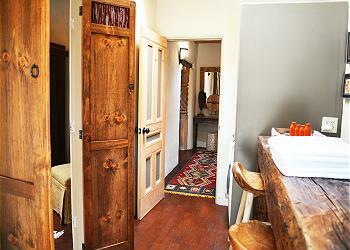 Guests may pick apples, pears, and plums from the front/back yard and orchard across the acequia! 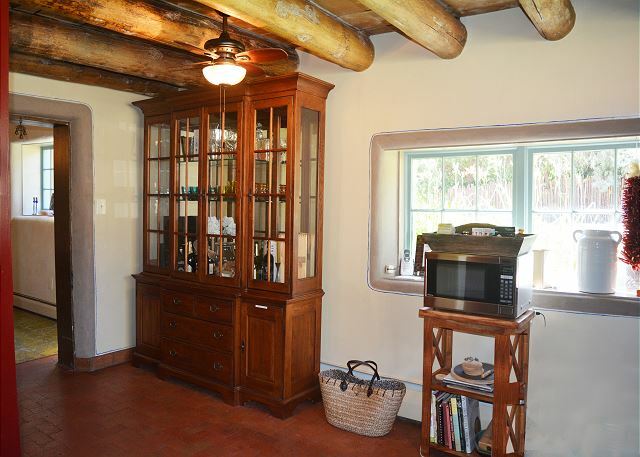 The property was a portion of the 1842 Serna Land Grant. 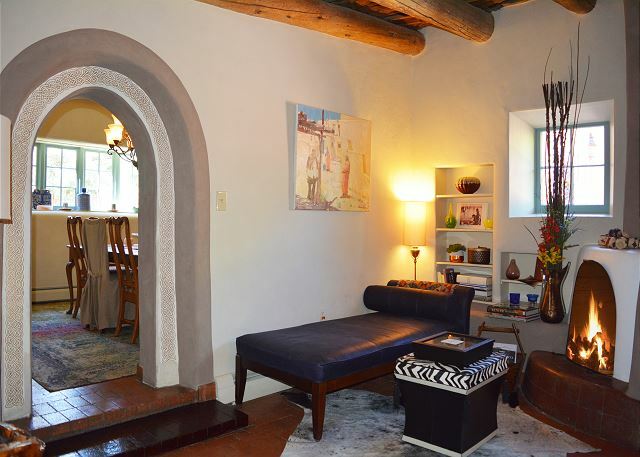 In early years, situated along the Rio Chiquito Acequia (irrigation stream), this adobe home served as a fortress of protection against Comanche and Apache raids. 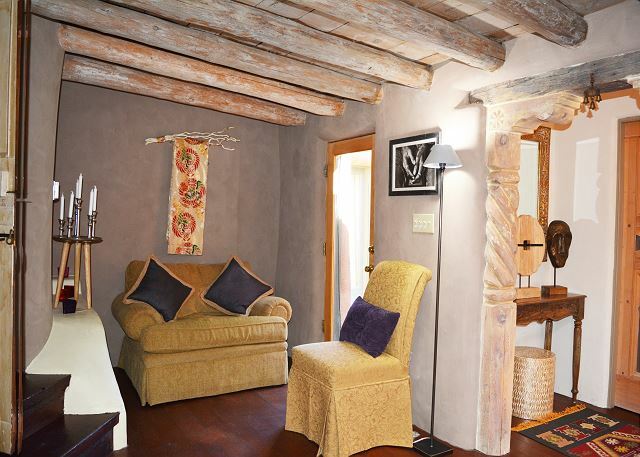 There have been eight owners since 1842 and current owners are delighted to share this rare retreat with guests looking to rejuvenate mind, body and spirit among the serene acequia (irrigation stream), orchard with mountain views. 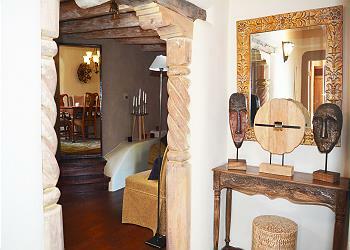 A gourmet kitchen stocked with spices, vinegars and olive oil invite the avid chef to come equipped with favorite menus. 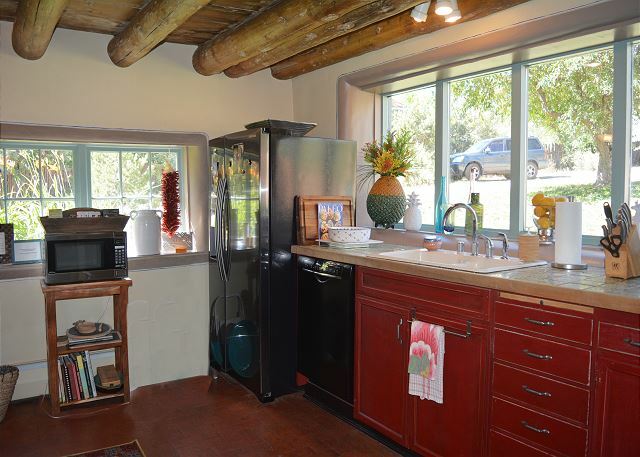 In addition is a food processor, mandolin, blender, roasting pan, large crock pot and anything else a gourmet cook would desire! A personal chef can be provided upon request. 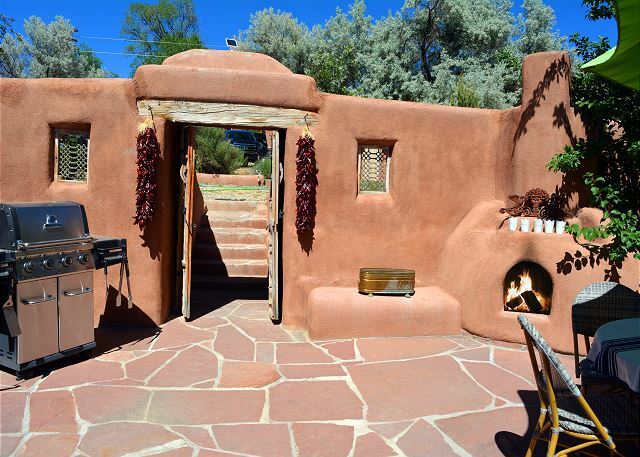 A guest book contains recommendations for things to do in and around Taos for dining venues, shopping, spa treatments, and outdoor activities. The serene private environment is a lovely relaxing place to dine outdoors under the extra-large back yard “portal” (roof covered porch). 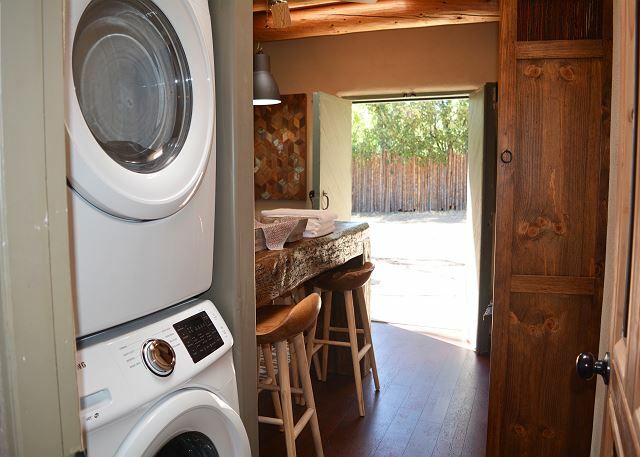 In addition, a bright front courtyard, with upscale gas grill and market umbrella table, offers a second option for cooking, fun table games and more. 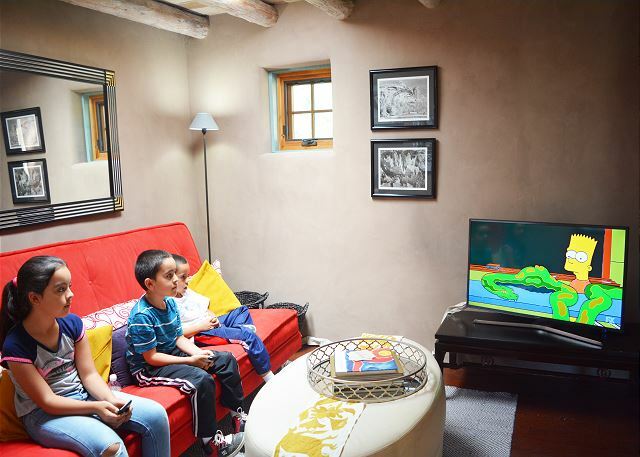 A flat screen TV in both bedrooms plus separate TV den insures plenty of options for avid TV fans. 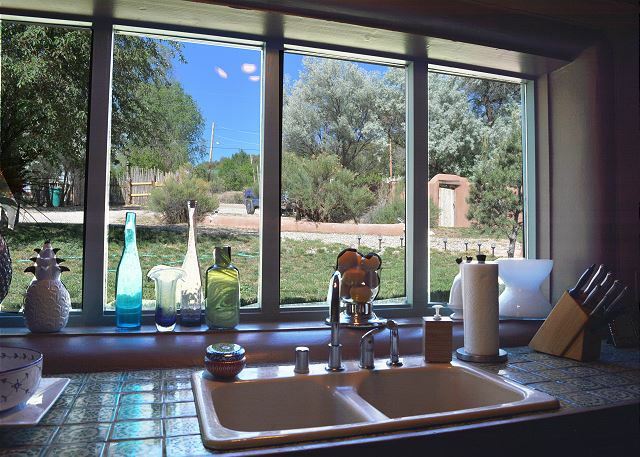 To keep cool in the summer there is 1 DeLongia window a/c unit in the center bedroom of the house, so guests can cool down the house by running the unit all day and utilize fans to stay cool. Historically, many artists have enjoyed this location, including Leopold Stowkowski and art maven Mabel Dodge Luhan, who brought many artists to Taos. In addition to 3 indoor wood burning fireplaces, the front courtyard boasts a large romantic outdoor wood burning “kiva” fireplace. 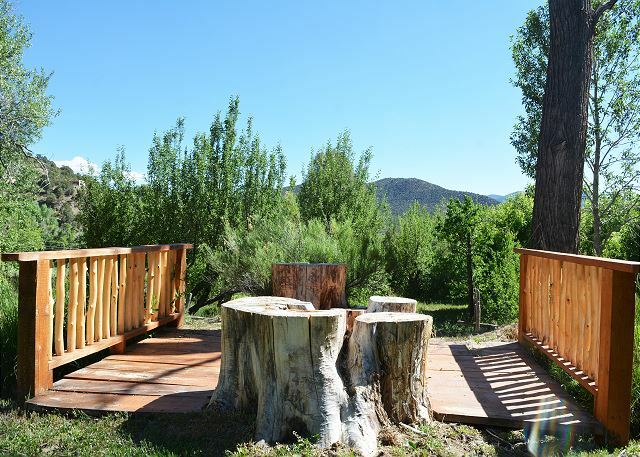 Firewood & starter are provided. To experience original romantic adobe architecture including all the comforts of home, plan to vacation at ”44a” and experience a truly authentic, well maintained historic adobe home.